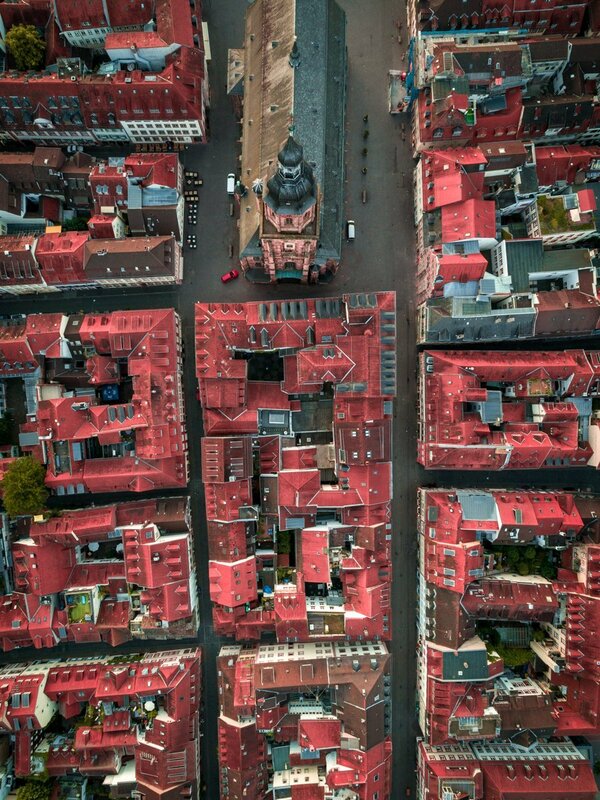 The historic old town of Heidelberg as seen from above. Heidelberg Altstadt is printed at White Wall lab in Frankfurt on the highest quality Fuji Crystal DP II photo paper. This paper is ideal for strong contrasts, luminous highlights and vivid colours and is guaranteed to last a minimum of 75 years. If you like this photograph, you may also like Heidelberg Winter Sunrise.